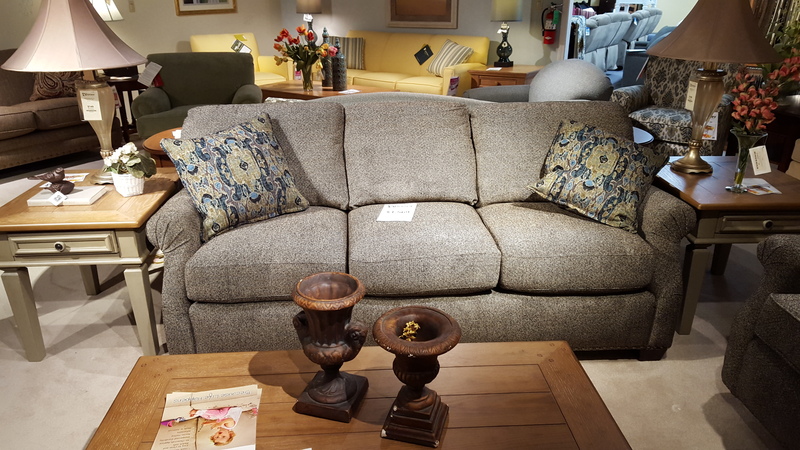 Enjoy traditional style with this stationary sofa. Featuring an attached back cushion, and reversible seats for optimum comfort. The rolled arms, exposed wooden legs, and nail head trim work together to create a warm and enticing piece that will suit any living space. Superior comfort and support are a promise with the Richland living room collection. The upholstered chair, sofa and love seat each feature reversible foam seating and blue steel spring construction. Each piece boasts nailhead accents, exposed block feet and customizable upholstery. Bring home this collection and experience the style and comfort.